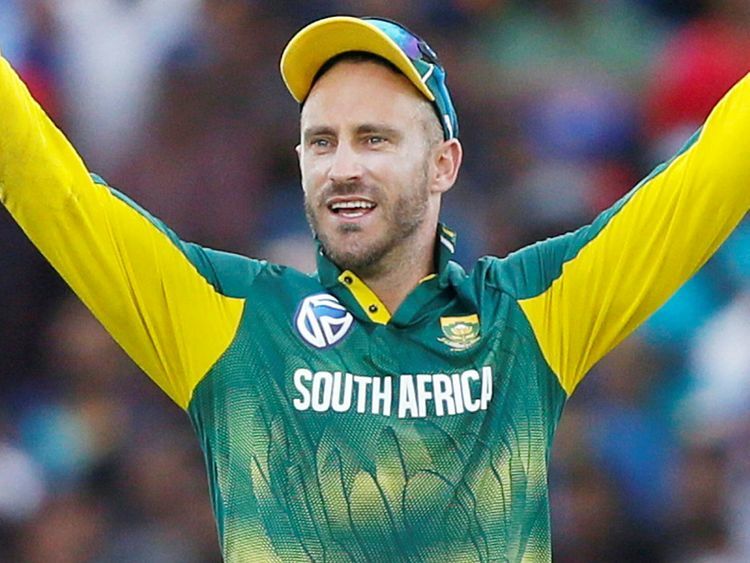 Cape Town: South Africa captain Faf du Plessis picked hosts England and 2011 champions India as the title favourites for this year's Cricket World Cup and said his side will go into the tournament with lowered expectations, which could work to their advantage. South Africa's World Cup adventures have often ended in unfortunate circumstances - including falling foul of an unfair rain rule, misreading the DuckworthLewis run-rate requirement, or comical run outs at the death. Such results have led to South Africa being labelled 'chokers' at the 50-over event, and in turn has lowered their expectations for the 30 May to July 14 tournament. "We will go with a little bit less pressure on us as a team in terms of the expectation of winning it," Du Plessis, who team are ranked fourth in the ODI standings, said on Tuesday. "It is pretty clear that England and India are the two favourites. "We are a young group and the guys are just excited about the opportunity." However, Du Plessis is aware that South Africa will still have to deal with a lot of hype in the run-up and during the tournament as well as the narrative of their past failures. "We have gone to tournaments in the past where we have felt like we had the strongest team on paper, but cricket is not played on paper," he said. "When opponents look at us now, we are not the strongest team. But when a South Africa team goes to the World Cup, the chat in the media starts, even the opposition starts to chat!" MENTAL CHALLENGE Du Plessis believes managing the mental side will be key for his squad, which is expected to include 10 debutants. "I remember going through the process of the previous World Cup (in 2015)," he said. "Going through the hurt of putting in so much time and energy into trying to win a trophy, and by the end you are absolutely shattered. "Yes, all of us badly want to win a World Cup but for me as a captain, it is very important to make sure that players don't try to be supermen to win. "I have felt like we have been guilty of that in the past ... and that expectation can (put) a lot of weight on your shoulders. "They just need to go there and be the best they can be." The World Cup will be played in a round-robin format with all 10 nations pitted against each other in the first round and the top four teams advancing to the semi-finals.